There is something truly inspiring and hopeful happening right now that I want to tell you about. A worldwide grass-roots movement is underway that is bringing the healing power of nature to the forefront of our modern wellness modalities. Leading the way is Shinrin-yoku or otherwise known as “Forest Bathing” and its meteoric rise in popularity is phenomenal. Can Forest Bathing save the world? Translated as “Forest Bathing”, Shinrin-yoku was created in Japan as a organized wellness activity in 1982 by the Japanese Ministry of Agriculture, Forestry and Fisheries. The simple and elegant practice is essentially taking slow walks in the forest to get in touch with nature through the five senses. The health benefits are real and profound. Shinrin-yoku’s first leap across cultures was to Korea where it was readily adopted and given the name, salim yok. It wasn’t until about 30 years later that countries like the United States, the United Kingdom and Germany began to take notice of Shinrin-yoku. Steeped in the countries’ own complicated relationship between its people and the natural world, you might be wondering how a practice from the other side of the world has taken such hold at the time it has. The supportive scientific research that we can get behind. Global warming and our grief. The practice offers solace and a proactive means to connect to the beauty of the earth and address our disconnection. Our willingness to try self-care to heal from life’s maladies in the modern technological age. Scientific journals continued publishing results from researchers. Media outlets from The Washington Post to the Atlantic continued to spread awareness. Interestingly, the language of science could speak to pragmatic minds about the benefits of nature. Nature Connection Books mixing science and storytelling started reaching the hearts and minds of people everywhere such Braiding Sweetgrass and the Hidden Life of Trees. Interactive map of Forest Therapy Guides around the world. 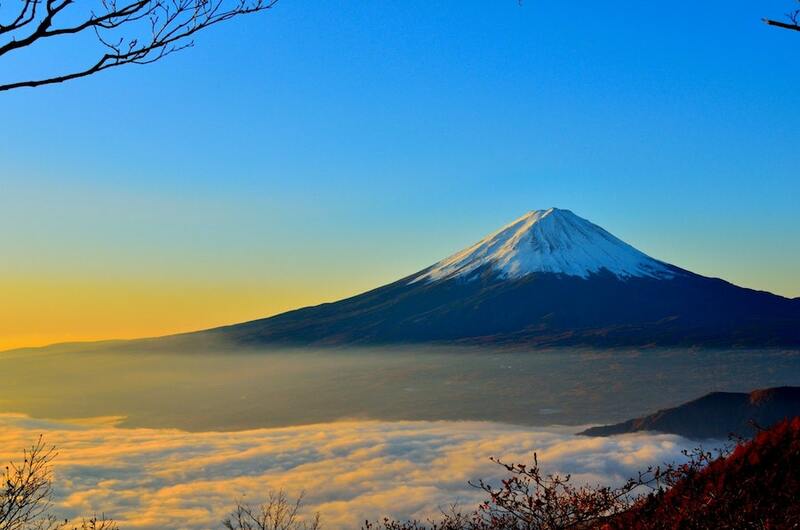 Astute leaders in nature connection in the U.S recognized the potential of Shinrin-yoku. Wellness and mental health professionals such as ones in Ecotherapy, Wilderness Therapy and Horticultural therapy readily adopted the tenants of Shinrin-yoku and offered new and invigorated care to those in need. What developed in United States became known as “Forest Therapy” or more widely as “Forest Bathing”. There are currently Forest Therapy guides trained in 23 countries on 6 continents and there will be close to 450 certified guides by May 2019 by California based Association of Nature and Forest Therapy. I am proud to say I am one of these guides practicing in the beautiful state of Vermont. With each guide around the world from South Africa to Ireland giving walks in their communities, the practice of Forest Bathing will continue to grow exponentially. And this is just one training organization amongst many. The cultural embrace of shirin-yoku is adding fodder to the growing lexicon of nature connection practices across the world. Right now in the U.S. and beyond, government and institutional organizations are beginning to formally recognize the importance of how nature can care for the community’s wellbeing. 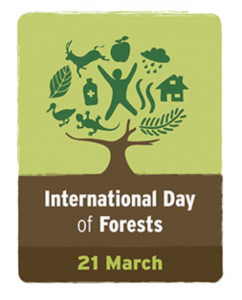 Case in point: The United Nations has proclaimed International Day of Forests to be March 21st. Here’s another: The Park Prescription program or Park Rx which is “A community of practitioners advancing the use of parks and public lands to improve health and wellness among individuals and communities”. In Vermont there are doctors who prescribe park passes for their patients to experience nature to support their health. This comes at a time when precious lands are threatened by lack of policy, funding and protections from Federal government. Forest Bathing has huge potential. It justifies the preservation of our land. It is an effective treatment and preventative measure to combat the onset of psychological and physiological conditions. It is just beginning to be realized and widely utilized. The movement of folding our traditions of nature connection into modern wellness practices is underway. Our planet is grateful. We are hopeful. The phenomenon is comforting: As we continue to recognize the health benefits that nature provides, we will inevitably want to preserve and conserve the very entity that has been so giving to us. Adaption of new and different ideas has always been the way traditions are renewed and maintained. As we adapt our age old traditions of nature connection and shinrin-yoku into the modern mainstream way of life, we will continue our evolution to live in nature in a more harmonious and sustainable way. Join this movement. If you’ve read this piece it’s likely you already have. For that, I thank you.